All of a sudden it's December and yet another year has flown by . . . with lots of riders having enjoyed (hopefully) an End-to-End ride - the season seems to start around late March and continue into October. The website is getting high volumes of hits, which is good, but I'd really like to see more Journals to list ... and to help would-be riders, The Directory feature for accommodation, cycle shops, tea rooms etc needs YOUR input - please take a moment to send the details (there's an online form) for places you have used. ... and finally, a big thank you to everyone that has contributed their ride dates, journals, directory suggestions . .. and made a financial contribution with a donation or purchase of the books, CDs and route pack. PS : I do this as a hobby, and to put something back into cycling ... my other obsession is running the MacRide series of cycle events - see www.macride-events.org.uk for some great rides, raising funds for Macmillan Cancer Support. Just 2 days, but a different ride - about 100 miles from Windsor - Stratford-upon-Avon, fully-supported with overnight B&B accommodation included. Starting at Stratford-upon-Avon riders will be taken by coach to Windsor with bikes carefully packed in a van (or go straight to Windsor) - set off with a led ride through Windsor Great Park before the real start at the Eton bridge ... and then at your own pace for the rest of the ride. Today sees the last day of the last ride listed on the Ride Calendar for 2011 - I'll be doing some analysis to publish statistics and tivia here later in the autumn. 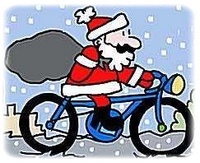 ... and if you plan to ride in 2012, do send your dates for the Ride Calendar. The online survey is still live - please do take a few minutes to complete it for your ride ... the statistics will be published to help and encourage others to take on the fantatstic End-to-End ride. 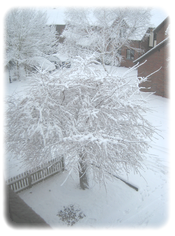 Picture : December 2010 from my office window in Stratford-upon-Avon ... hopefully not as much snow to restrict cycling this winter! 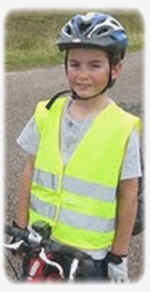 Tommy, an 11 year-old from Hampshire has just completed his LEJOG ride in 22 days ... he did ride with his parents! Tommy's father, Alastair wrote : We started our planning for our LEJOG about 12 months or so before we undertook our adventure and relied heavily on the excellent resource of the CTC forum and Rob ‘s Cycle : End-to-End website. Our tour started on the first day of Tommy’s summer holiday break and was scheduled to last 22 days.